See These Classic 70s & 80s photo/Prints of Blade's Trains. 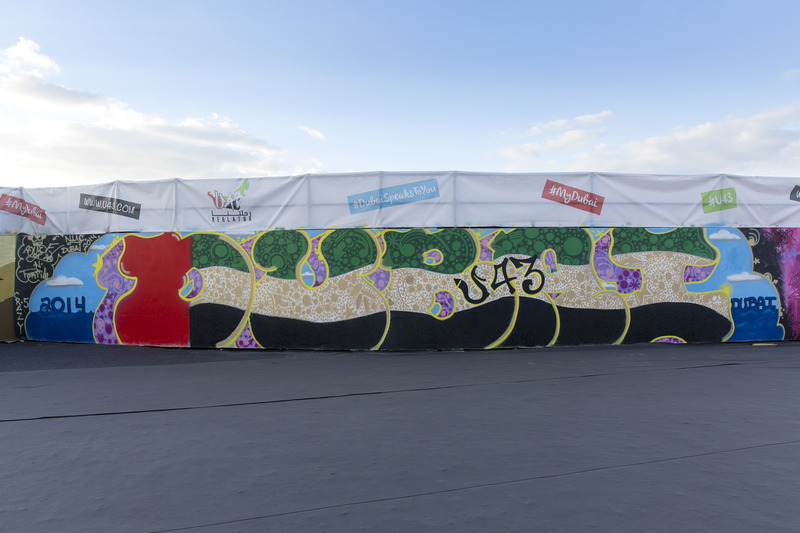 HENK PIJNENBURG - "THE INNER STRANGER OF MY BEING"
in Dubai (UAE) with the World's largest Grafitti scroll. LOFT.297 is an art gallery located in the heart of Amsterdam. 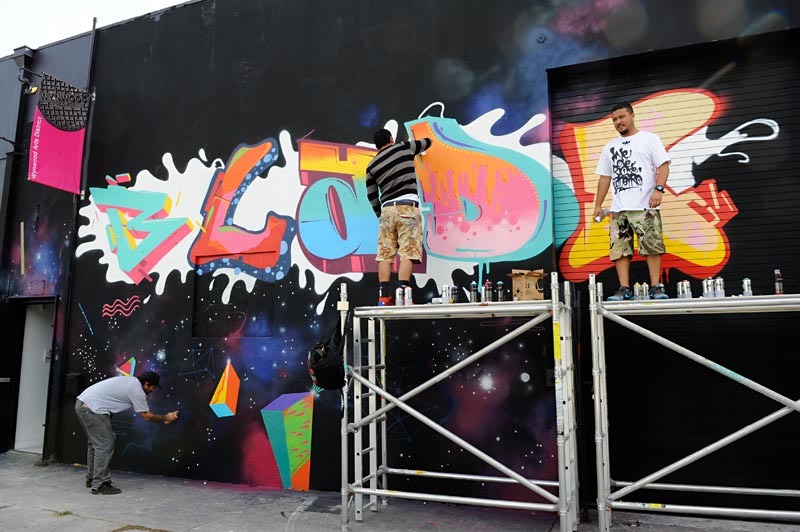 With Blade as its openings exhibition, LOFT.297 positions itself as THE temporary art gallery of street art. 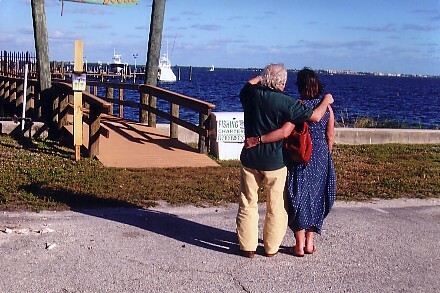 We love to meet you at our gallery. 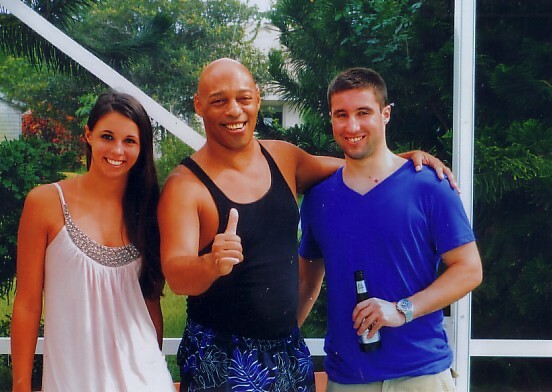 Please feel free to contact us for making an appointment to view Blade his best work. A large, usually unpartitioned floor over a factory, warehouse, or other commercial or industrial space. 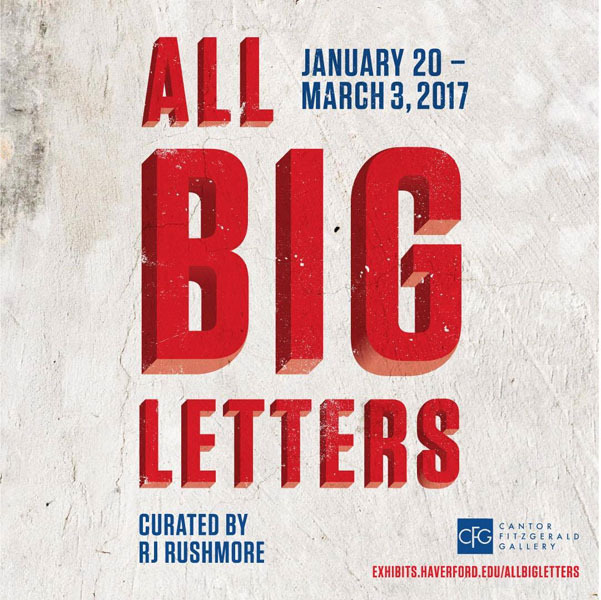 For its opening exhibition, Loft297 proudly invites you to a presentation of one of the most influential artists of New York's Urban Art. 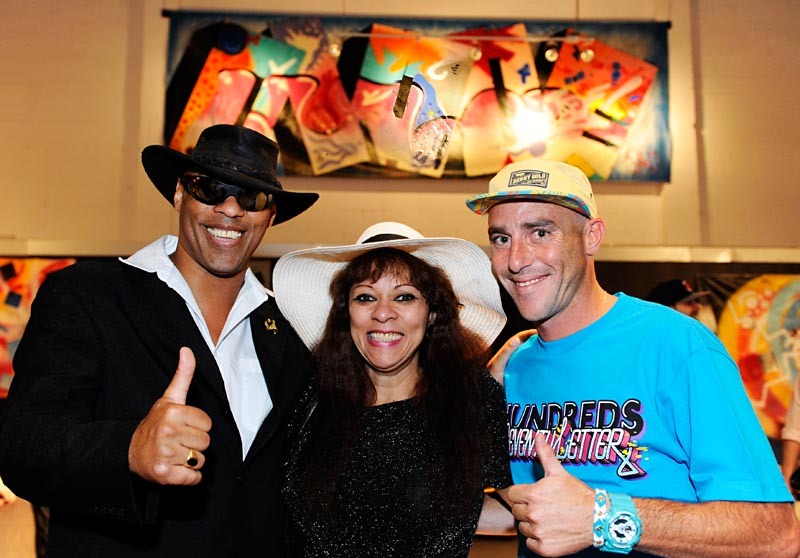 We are able to host the founder of graffiti art himself: Blade, the King of Graffiti. 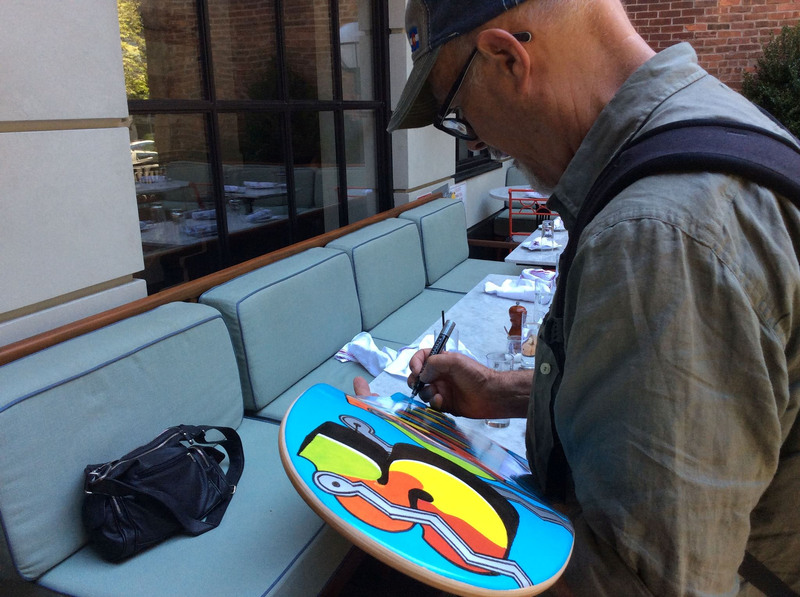 Using the name BLADE, Steven Ogburn began writing graffiti in the early 1970s, during the infancy of what would grow to be a worldwide art movement. The trains were his canvas, the tracks were his gallery, and his public were the millions of people who saw his work as it sped past them or halted in front of them every day. 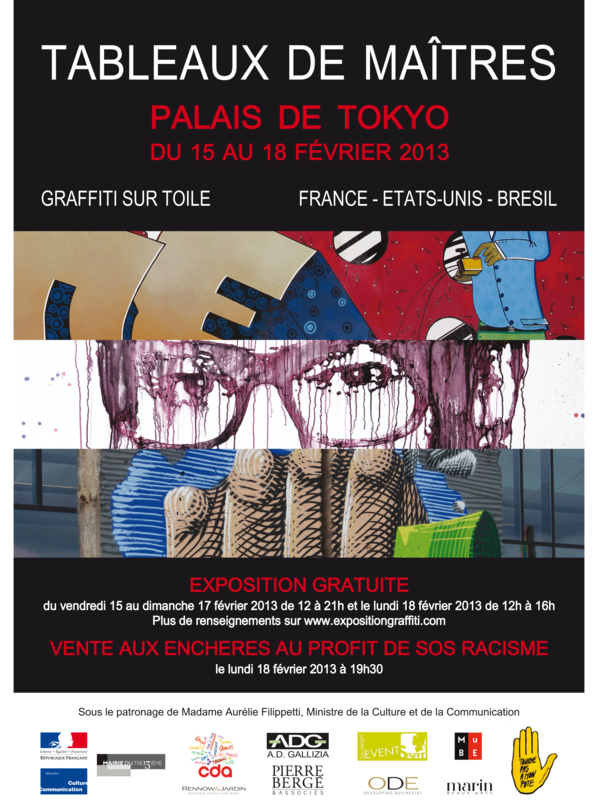 This solo exhibition will consist of a variety of sketches, drawings, and a wall-to-wall canvas. 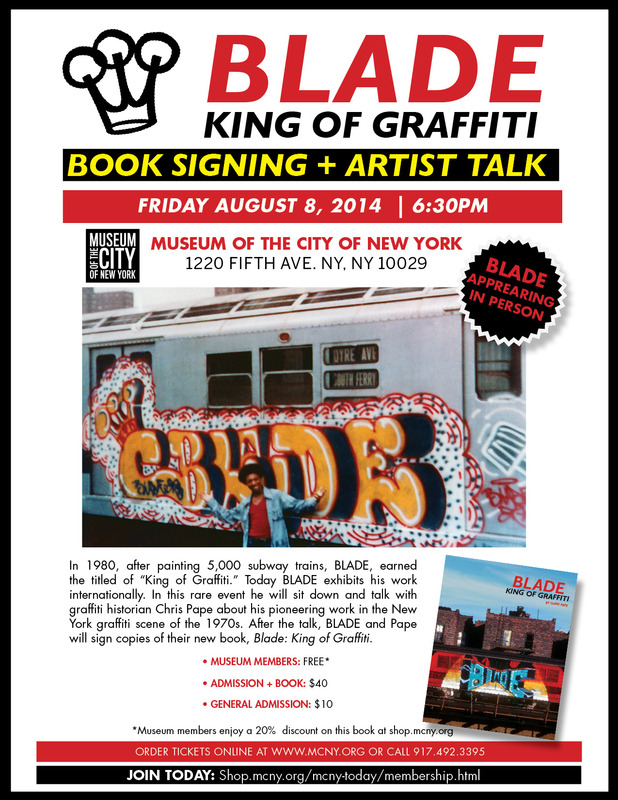 Besides the exhibition, Blade will use this opportunity to present his latest book, "The King of Graffiti." You are more than welcome to come take a look for yourself on Friday, May 23rd, from 16:00 till 22:00 . If you are unable to be here, feel free to give us a call (monday till saturday, evenings included). 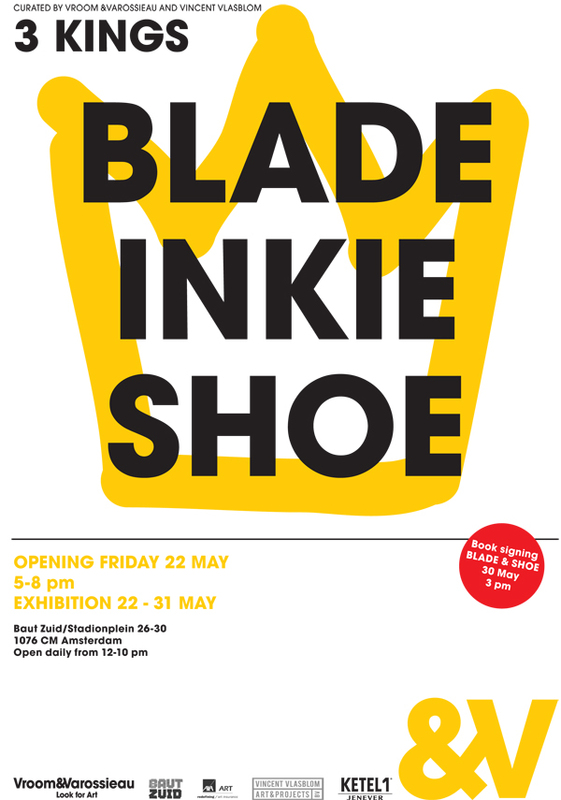 Blade's work will be exhibited till the 3th of July by appointment. 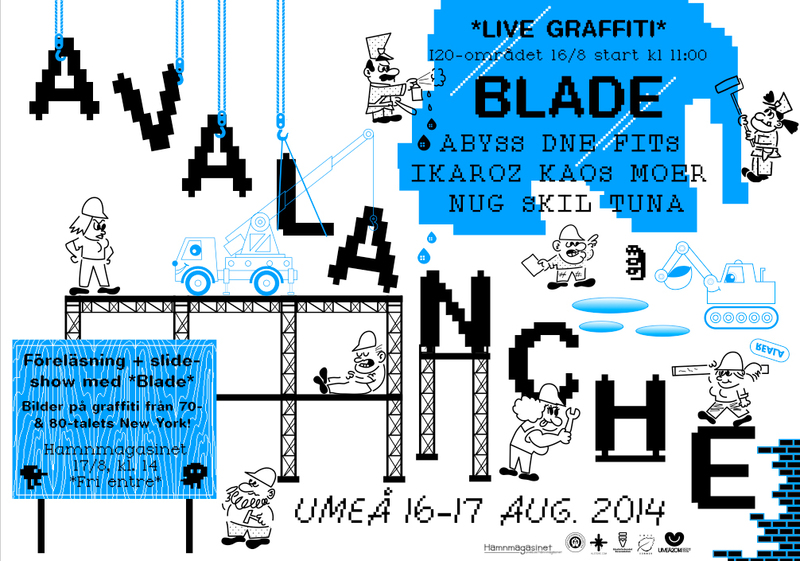 Meet Blade in Umea, Sweden! 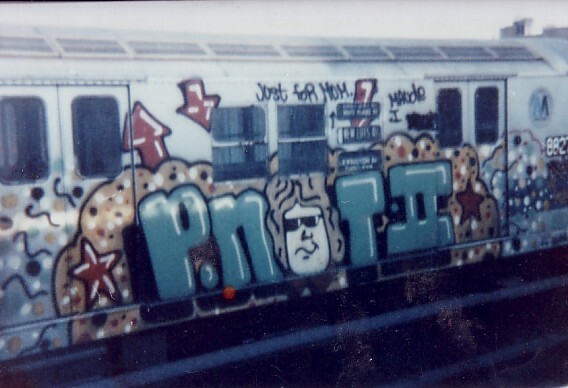 Photographed during the "Golden Age of Graffiti" in the '70s and early '80s, Chalfant and Cooper's images of graffitied subway cars are among the major documents of American popular culture in the late twentieth century. Moving Murals presents the images in a wall to wall mosaic of over 850 muraled trains, creating an ultimate All City graffiti trainyard environment. 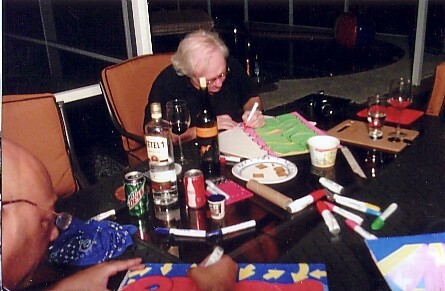 Complimenting the murals: photographs of the writers in their element. And for the first time, the exhibit provides an interactive audience experience through the addition of Chalfant's recently published iBook viewed on a large screen, complete with the train image archive, artist interviews, and videos. These classic train murals, which have been the inspiration and guide for thousands of youthful artists around the world, did not survive on the trains for long before the city cleaned the cars, or the artists' rivals painted over them. 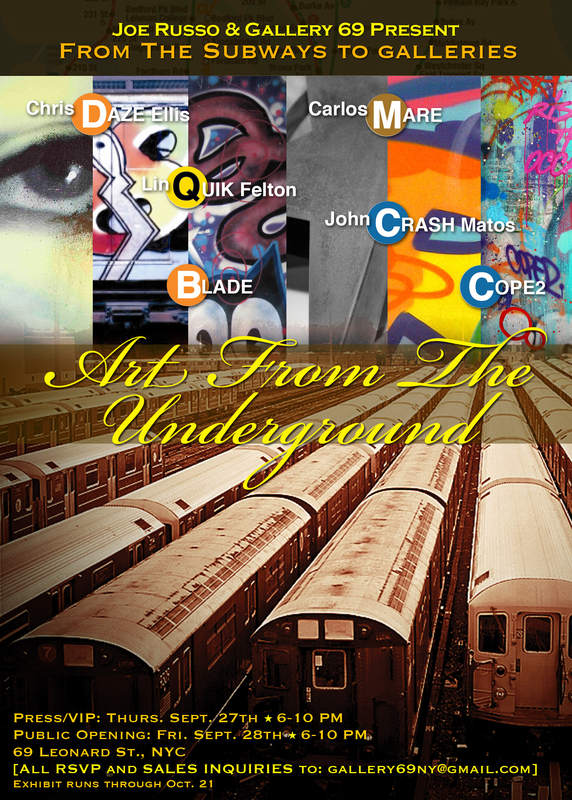 Chalfant and Cooper's patience and determination in hunting down and capturing these ephemeral masterpieces with their cameras has left the world with a representative cross section of some of the best work by the most talented young artists who painted New York City's subway cars during the golden age. 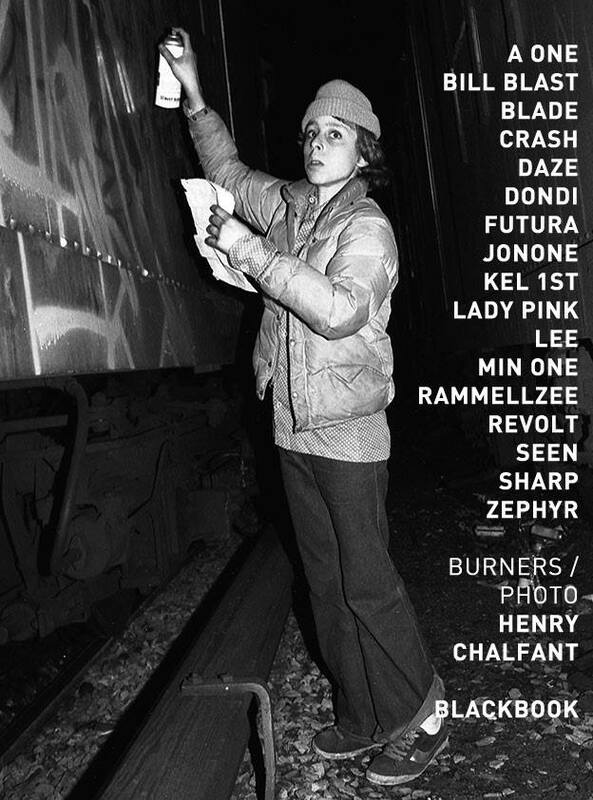 These images pay homage to the young artists from the City's outer boroughs whose work-though often dismissed as vandalism-challenged contemporary fine arts standards, and became the visual component of the hip hop culture that was born on the streets of New York City. How to get there: Take the F train to 2nd Ave or 6 train to Bleecker St. The exhibition will run through July 10th, 2014.
on August 30th- September 13,2014. 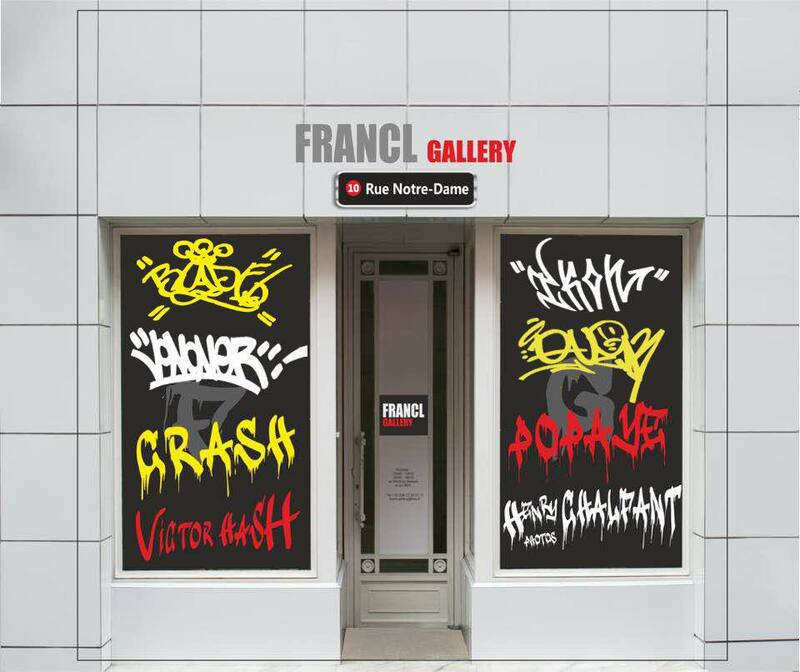 7Th Letter flagship store/ gallery. Blade's new book is coming out. Amazon is taking pre orders now. 256 pages of mind blowing Graff from the early 70s. so pre order your copy now! 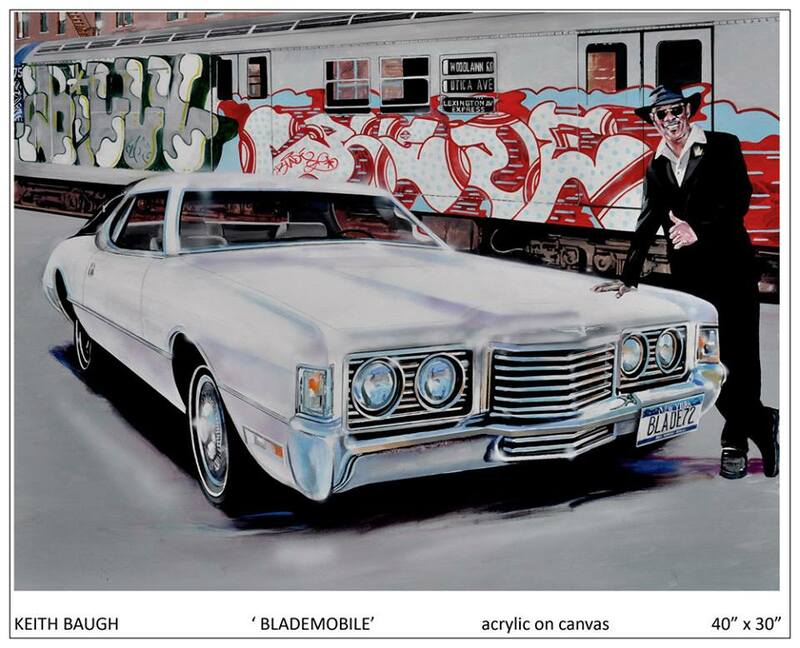 Blade's tribute painting by Keith Baugh. 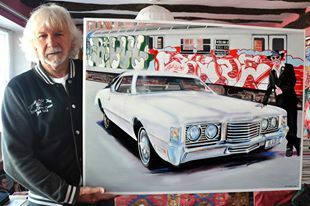 Blade with his 1972 Thunderbird (Still in the mix at 56! 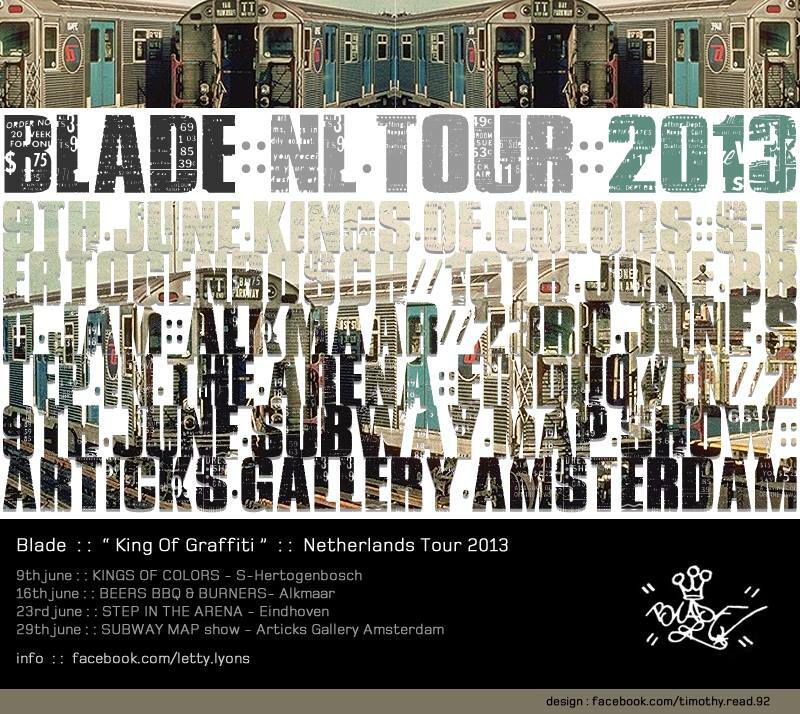 Group show at the Spacejunk Gallerie ( Willem Speestra ) Bayonne France May 22-June 22,2013.
is representing Blade at their Gallery/Graffiti shop!!!!! 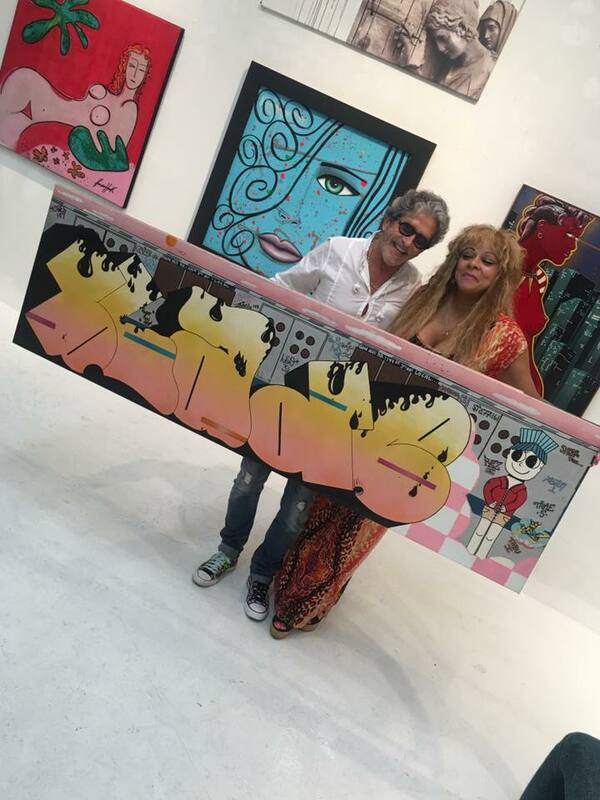 "Lila with her new Blade blockbuster Painting"
:Blade, Futura, Dondi, Cope, Lady Pink, Seen & many others will be showing their art at the Museum. 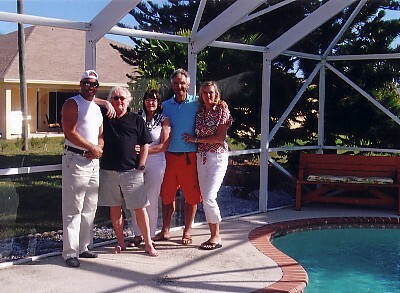 Hadass, Aric, Alan(Dirty pilot) Bortman, Portia & Blade at our home in Florida February 2013. Dock, Paisley. 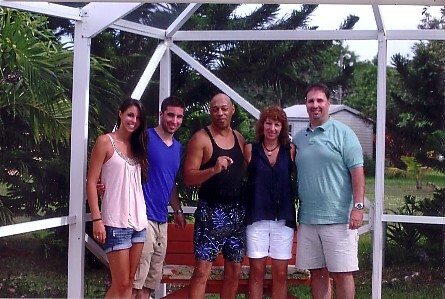 Blade, Portia, Eddie & Judyat Cape Canaveral, Florida January 2013. 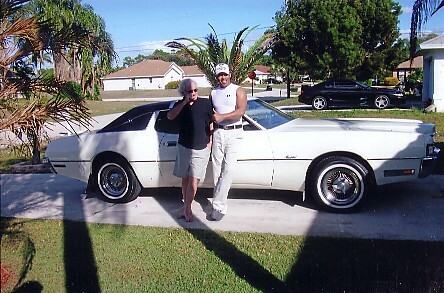 With Blade's 1972 Thunderbird. 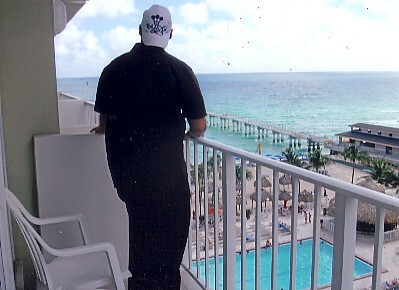 Blade chillin in Miami December 29,2012 making plans for 2013!!!! 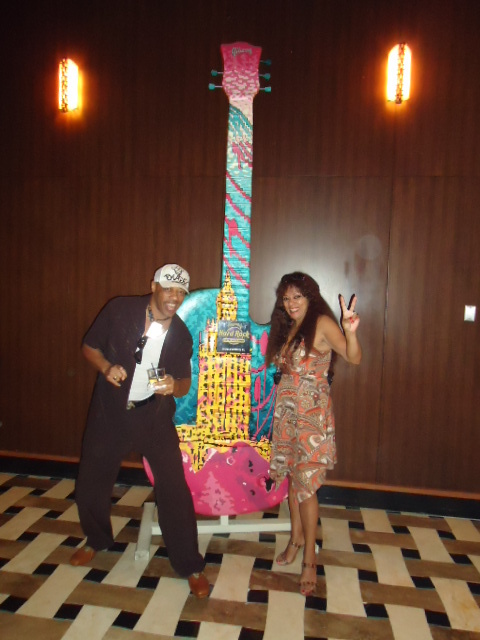 Loury & Blade in front of her new Blade painting! 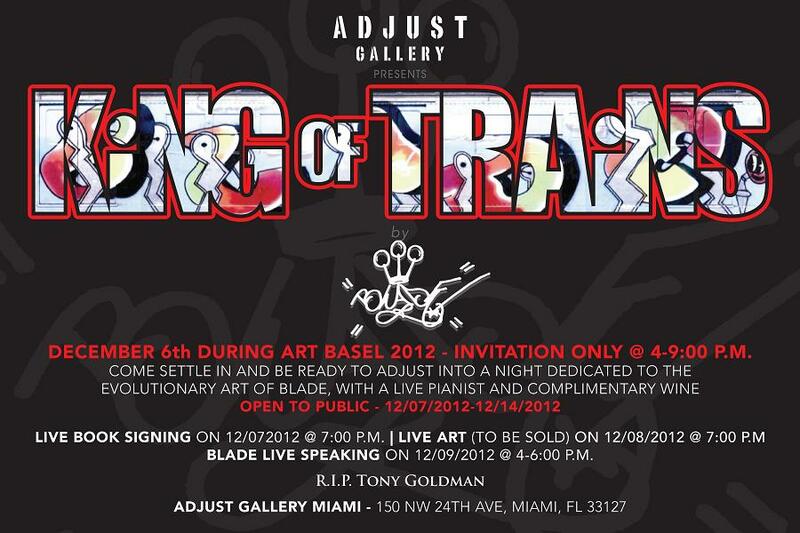 Blade sollo show at art Basel 2012. 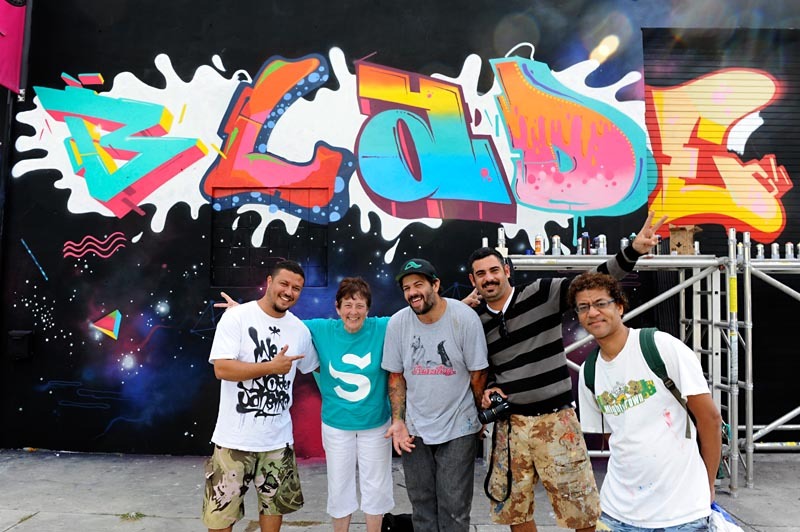 Martha Cooper, the Flesh back crew, Aric Weis & Daze in front of Blade's tribute wall. 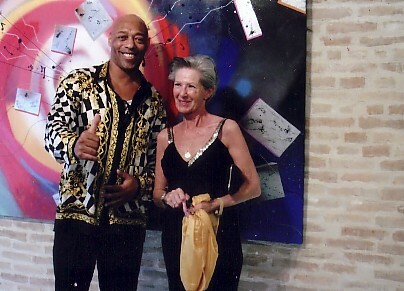 Quik / Blade painting sells at Art Basel 2012. 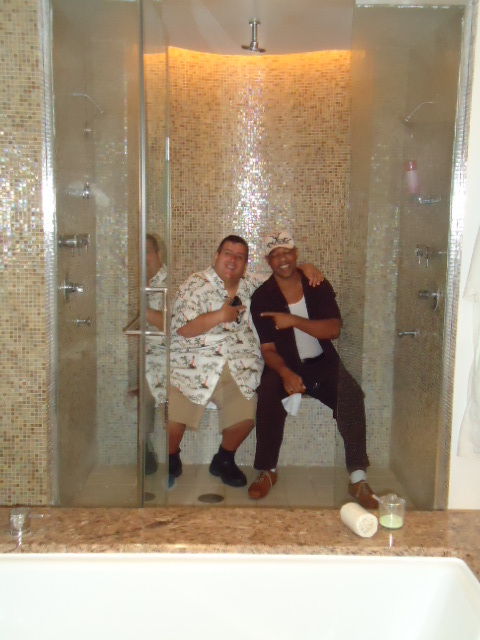 Blade & Jason are elated! 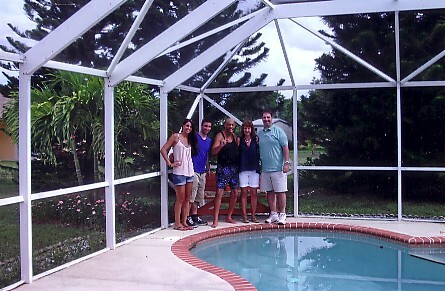 for all of his support ! 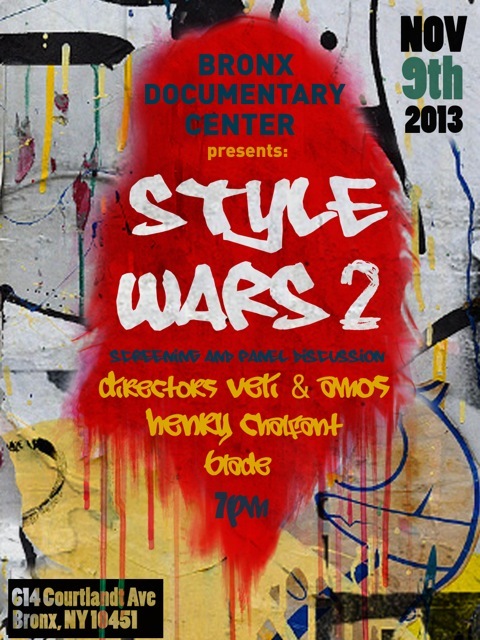 Henry Chalfant, Martha Cooper & Slip (MPC) will be signing books live!!! 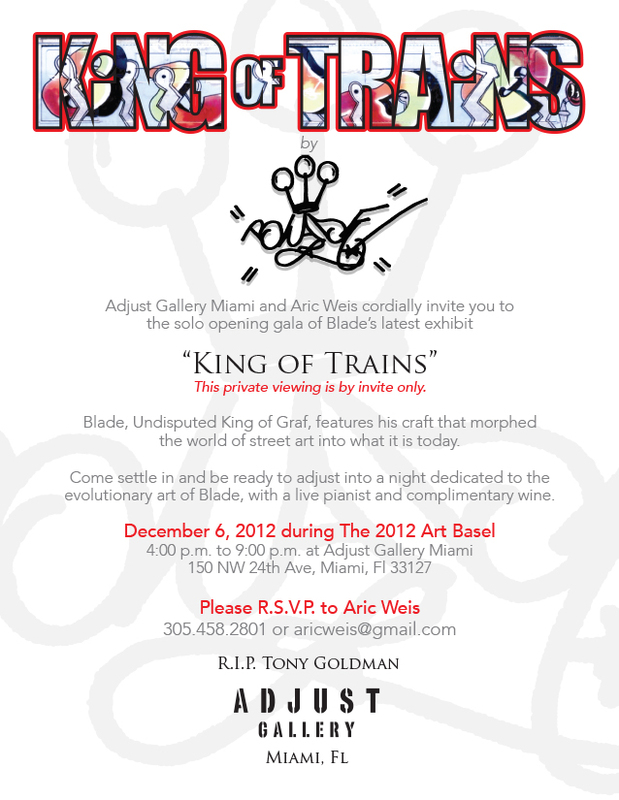 Adjust Gallery Miami with non-profit, ICO is honored to welcome Blade, King of Trains December 6-9, 2012 during 2012 Art Basel, Miami. 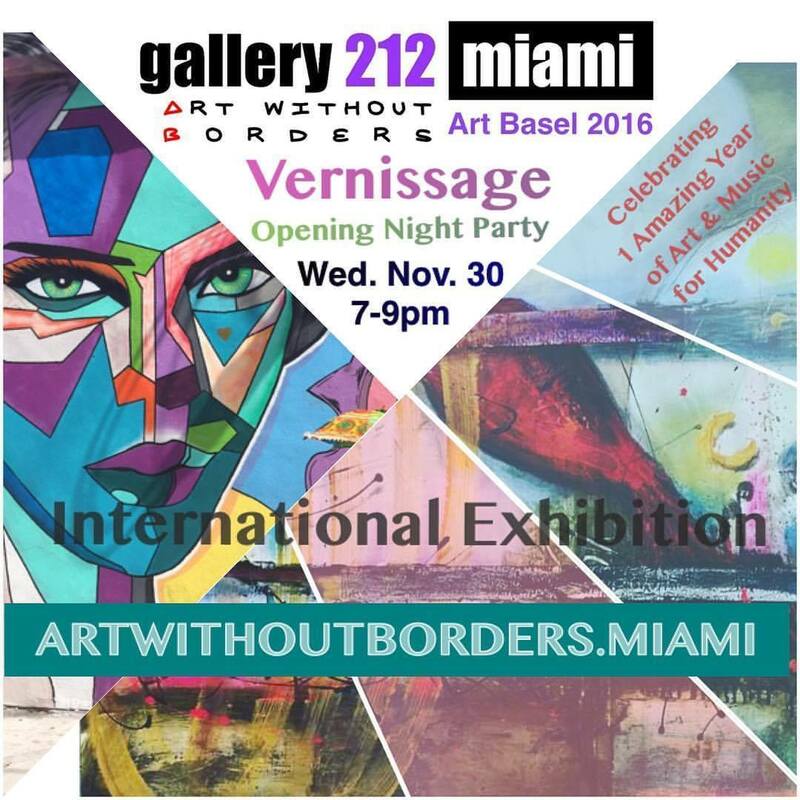 Vernissage: December 6 from 4:00 p.m. to 9:00 p.m. at Adjust Gallery Miami, 150 NW 24th Ave, Miami, FL 33127, in the heart of the Wynwood Arts District. 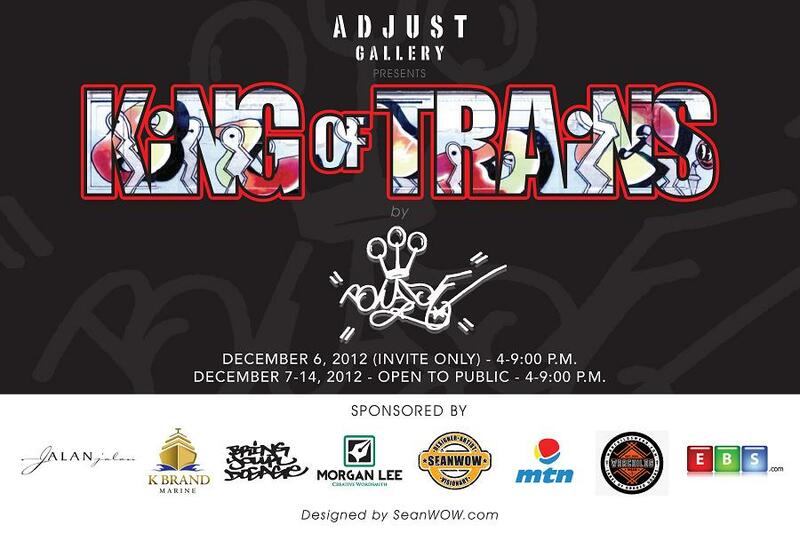 Doors will be open to the public until 11:00 p.m. Blade, Undisputed King of Graf will be on exhibit until December 14, 2012. 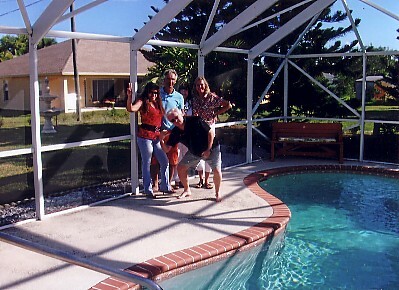 Enjoy complimentary wine and live pianist. 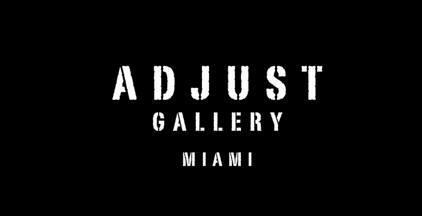 Adjust Gallery Miami would like to thank North Miami Beach Senior High School for their contributions on December 6th and Highlands Oaks Middle School for contributions on December 7th. 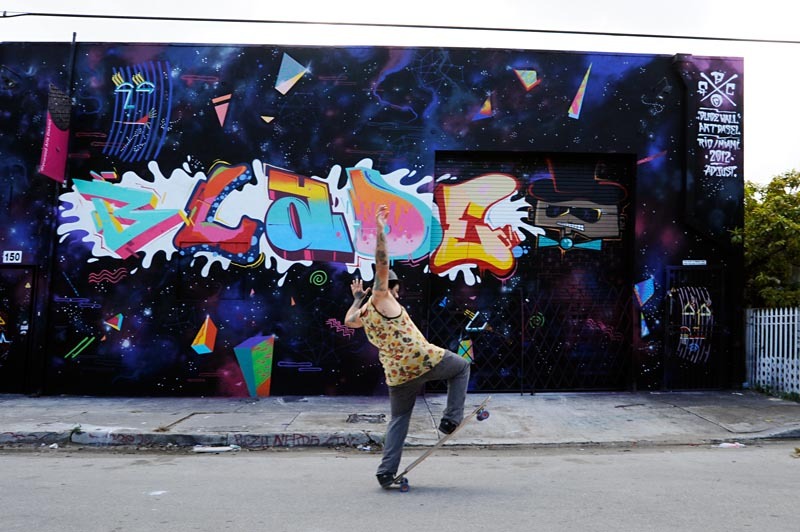 All the Graf that is around the world has evolved from what Blade and a handful of other artists invented in New York in the early 1970’s. 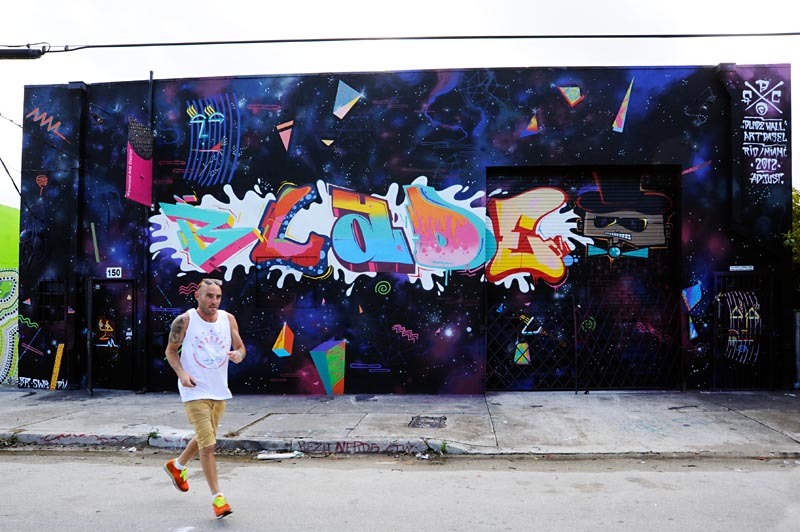 It was his start as a graffiti artist along with his contemporaries that contributed to the evolution of today’s street art. 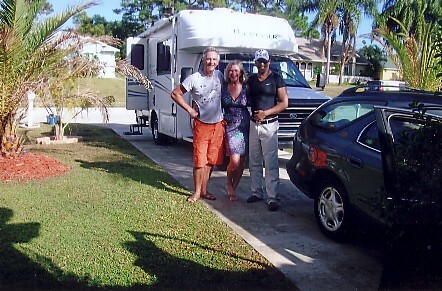 The art form is the most well-known and popular around the world. 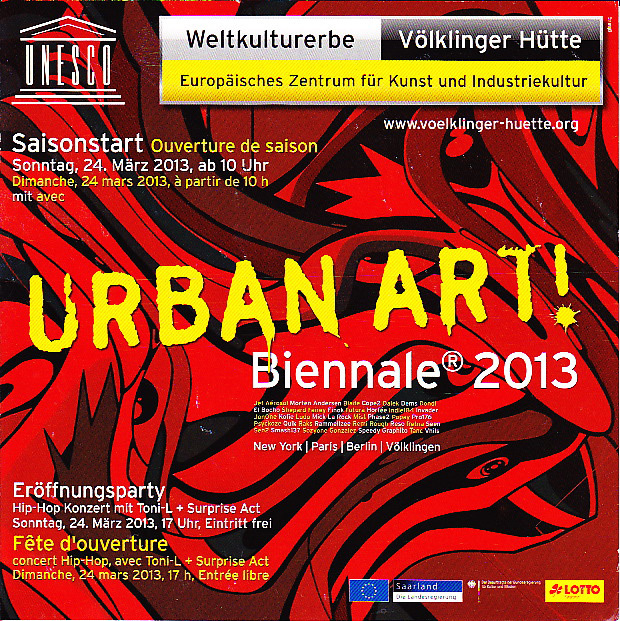 The work of street artist is regarded of the most highly demanded and valuable art around the world. 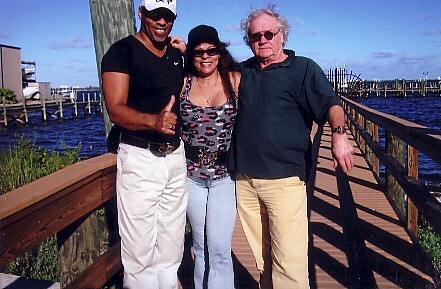 Blade is an international, world-renowned artist with over 30 years of experience, knowledge and exposure. 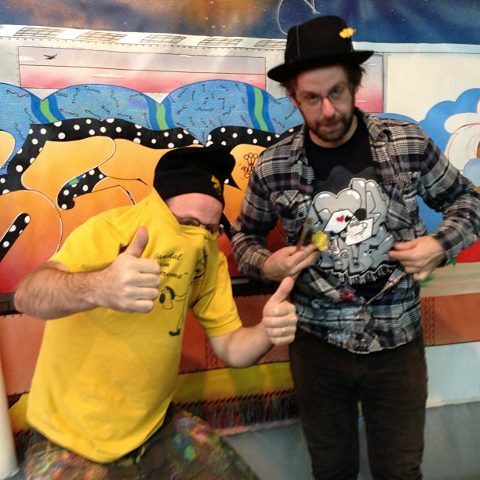 His art is some of the most legendary graffiti pieces of all time. 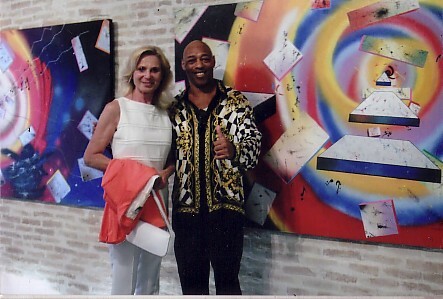 His art has been exhibited all over the world included the Netherlands, New York, France, Germany and China making his work some of the most highly demanded, valuable and easily marketable by some of the most respected, international art collectors across the globe. 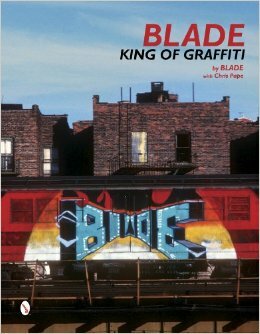 Blade will be available at a live book signing December 7th at 7:00 p.m. There will be live art on December 8th at 7:00 p.m. with canvas being sold after the event. Closing exhibit and Blade speaking from 4:00 p.m. to 6:00 p.m. 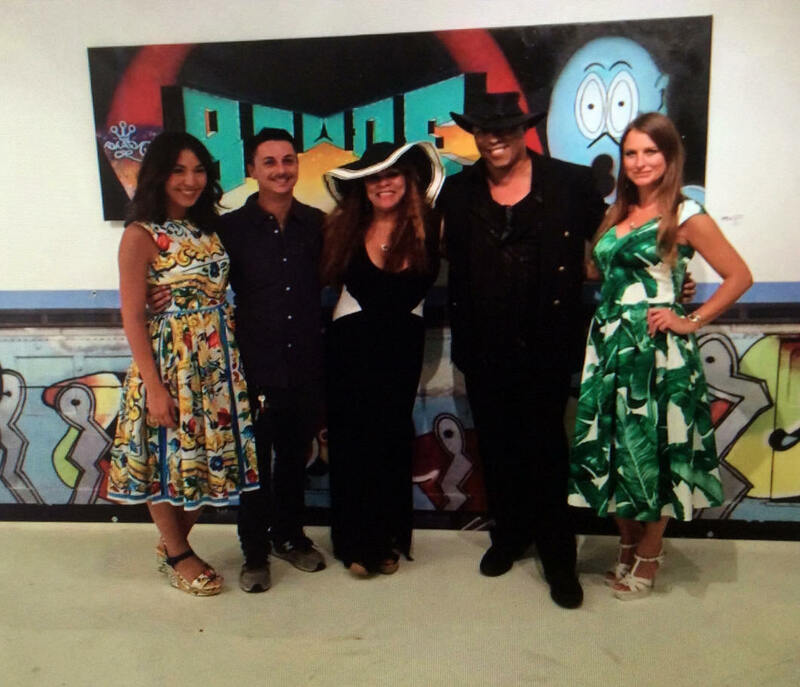 Please contact Aric Weis at Adjust Gallery Miami, (305) 458-2801 or email at aricweis@gmail.com. In Retrospect, Blade’s early graf tagging eventually steered him toward further expanding this early art form into more involved and sophisticated master pieces of art. 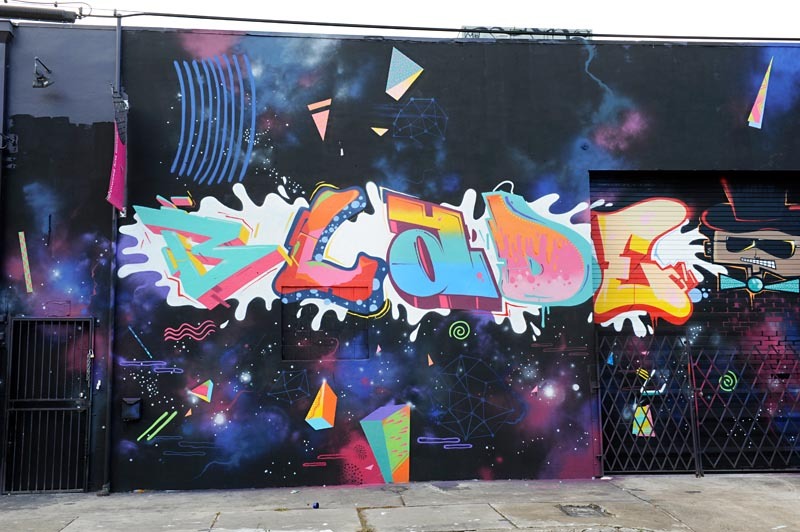 Blade’s early tagging progressed into limitless forms of line, color, scope, volume, depth and design that lent itself to influence how his contemporaries viewed and created graf. This fueled Blade to earn his title: King of the Trains. 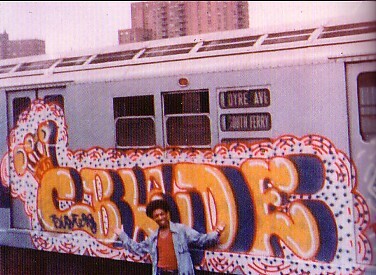 Over the course of his life, Blade painted over 5,000 trains. 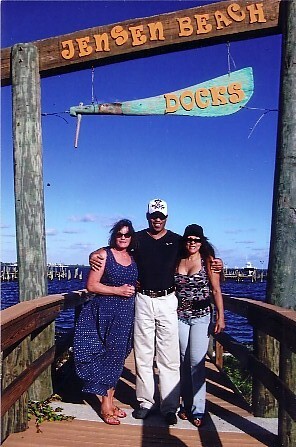 They bore his name in all sorts of colors, lines and shapes! 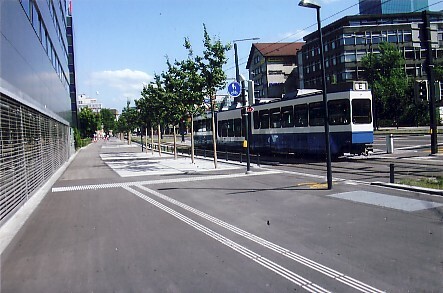 Consequently, this increased his reputation as a street artist and as a result his art work became very well known. 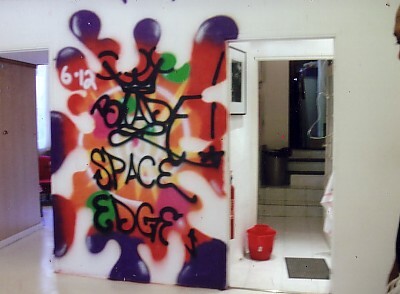 Graffiti became more acceptable during the 1980s. 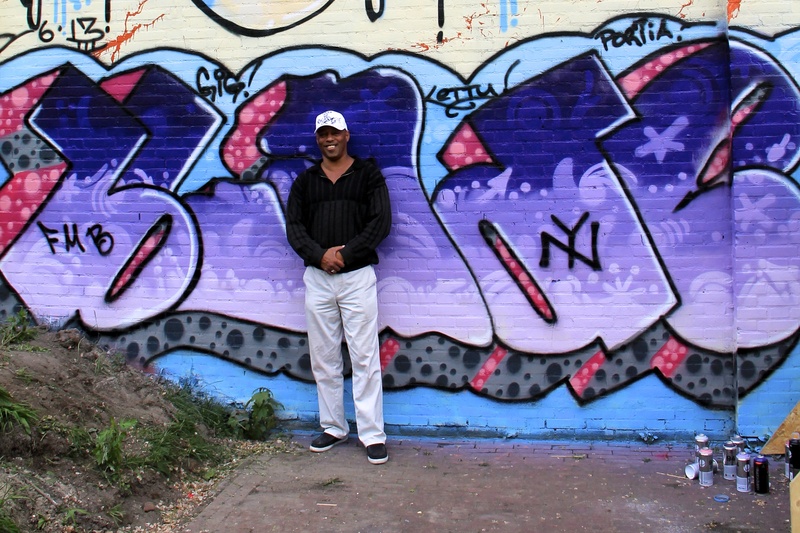 It was then that graffiti was brought to the Netherlands by a gallery owner, Yaki Kornblit where it became an instant success within the art world. 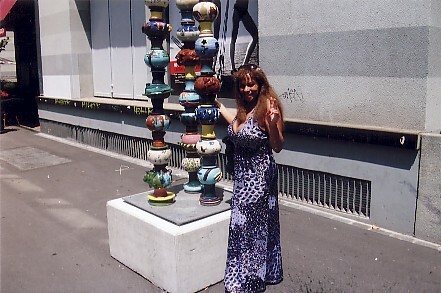 The Boijmans van Beuningen Museum in Rotterdam was one of the few museums that organized a big exhibition dedicated to graf in 1983 which attracted over 40,000 visitors. 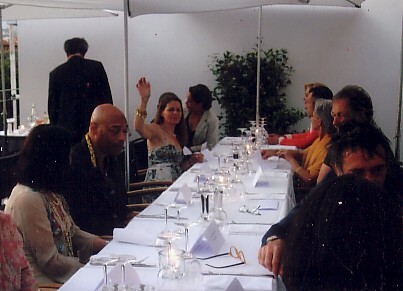 Every distinguished collector bought work from the featured artist. More exhibits soon followed in the Netherlands as well as abroad. 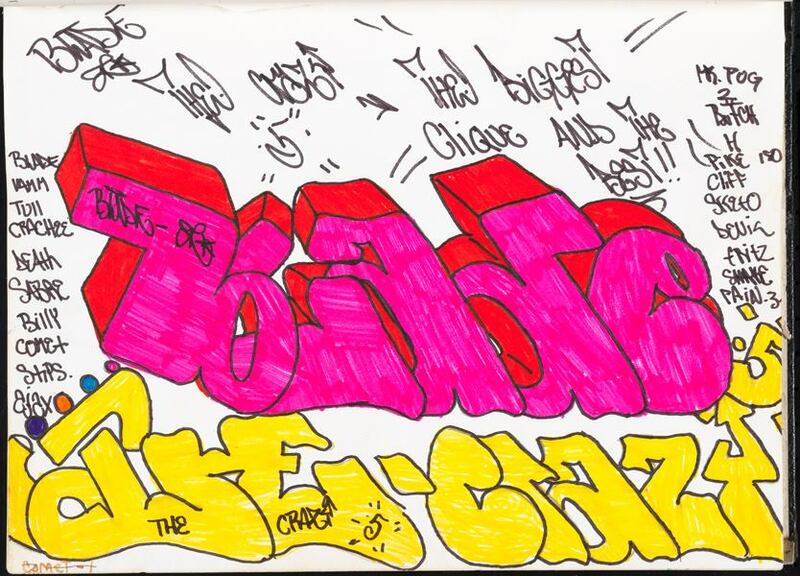 The 1980s success of graffiti rapidly declined due to a lack of street art knowledge among art critics and negative attention circulated via magazines and newspaper. 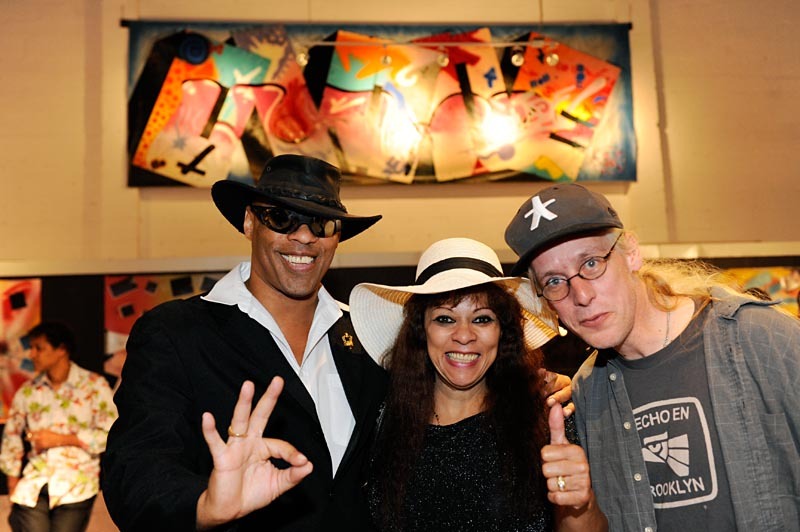 However, over the past 30 years, graffiti has gotten much positive recognition and exposure making it again highly valuable and marketable among many renowned art collectors. 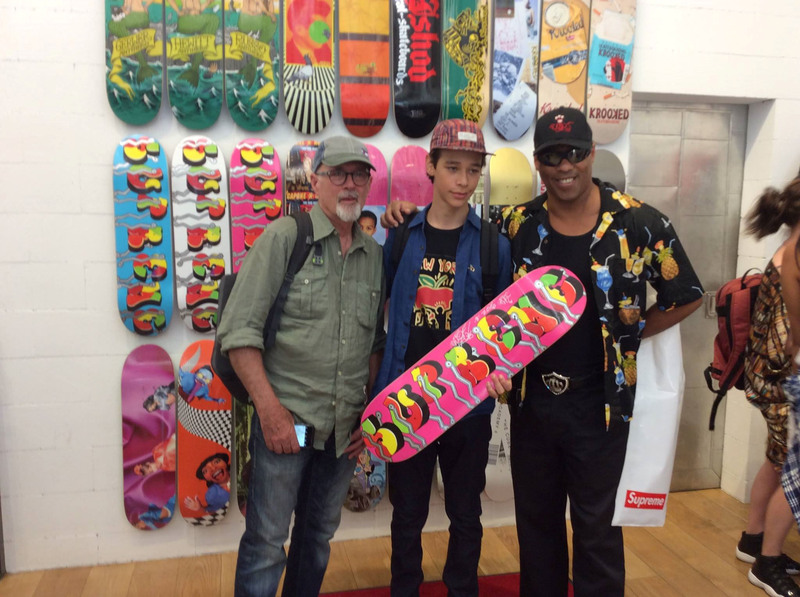 Blade has exhibited all around the world for the past 30 years. His work has been shown in galleries such as The Galerie Yaki Kornblit in Amsterdam, The Gallery Helenbeck in Paris and New York as well as The C-Space in Beijing, China. 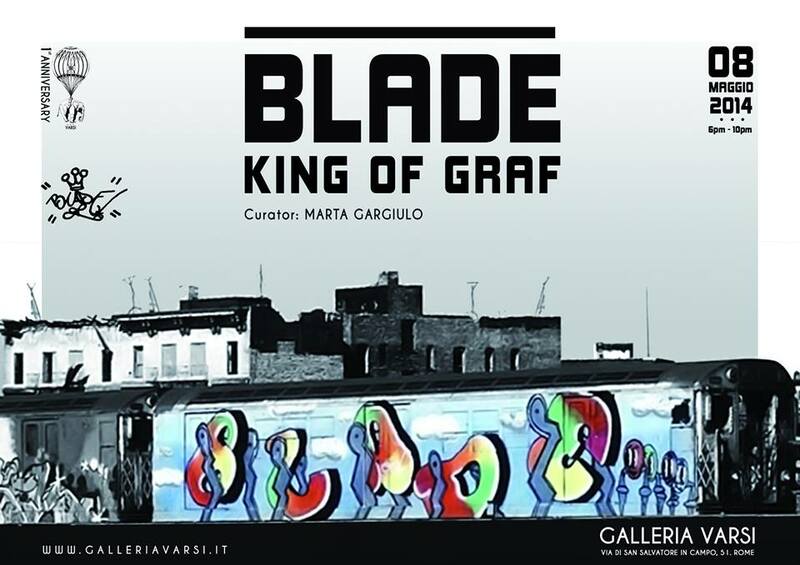 Blade has also participated in many group shows across Europe including, Group exhibitions in the Leopold-Hoesch Museum in Germany, the famous national des Monuments Francais, Paris, The Museum Boijmans Van Beuningen, where graffiti was first introduced, in Rotterdam, Netherlands, The Groninger Museum in Amsterdam and the Whitney Museum in New York with Keith Haring, famous late pop artist, in 2000. 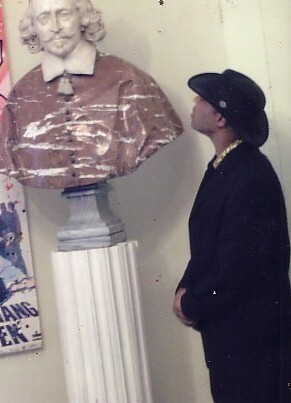 In addition to his exhibition achievements Blade sold all of his paintings in a three week tour of Australia in 2004. 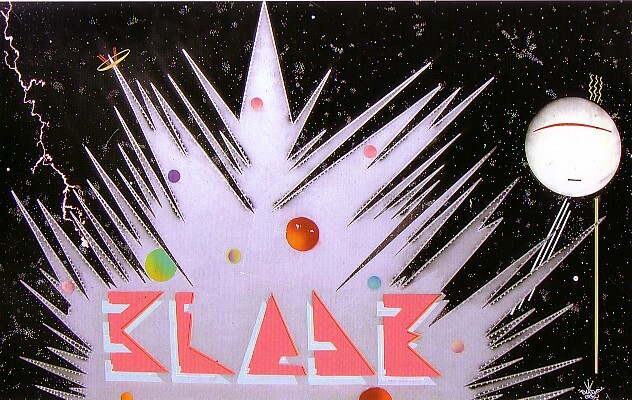 It was during this time that Blade began his venture into merchandising. He came out with his first Jointman t-shirt and debut music CD. 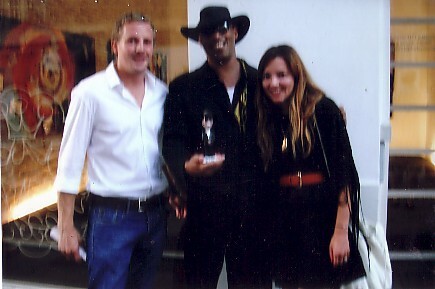 Finally, his most esteemed achievement was in 2005, Blade made the cover of the famous Sotheby’s Art Auction House Catalog of Amsterdam. 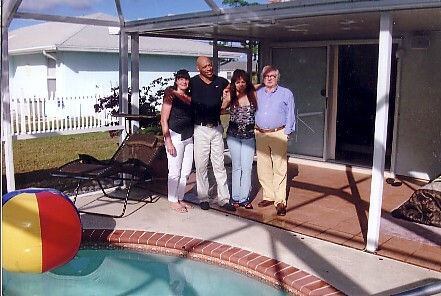 Blade’s incredible international exposure has enabled him to make a huge cultural impact on the art world. 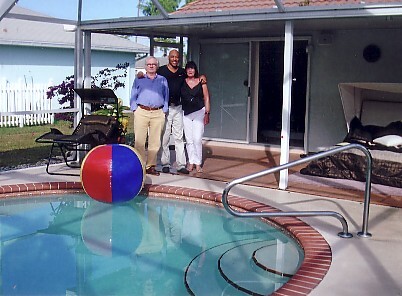 He has gained much popularity and recognition among art critics and art collectors alike. 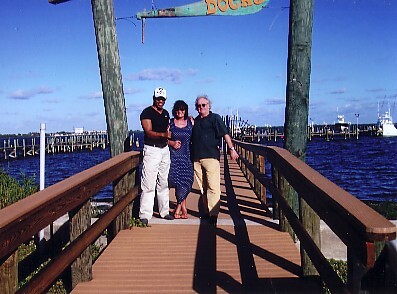 He has sold hundreds of masterpieces all over the world. 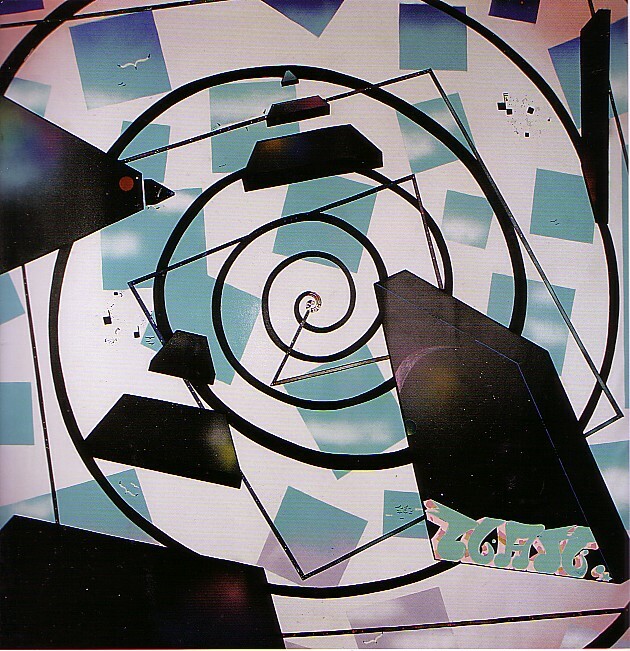 Blade’s art work has been compared to Wassily Kandinsky, one of the most famous abstract expressionist painters of all time. 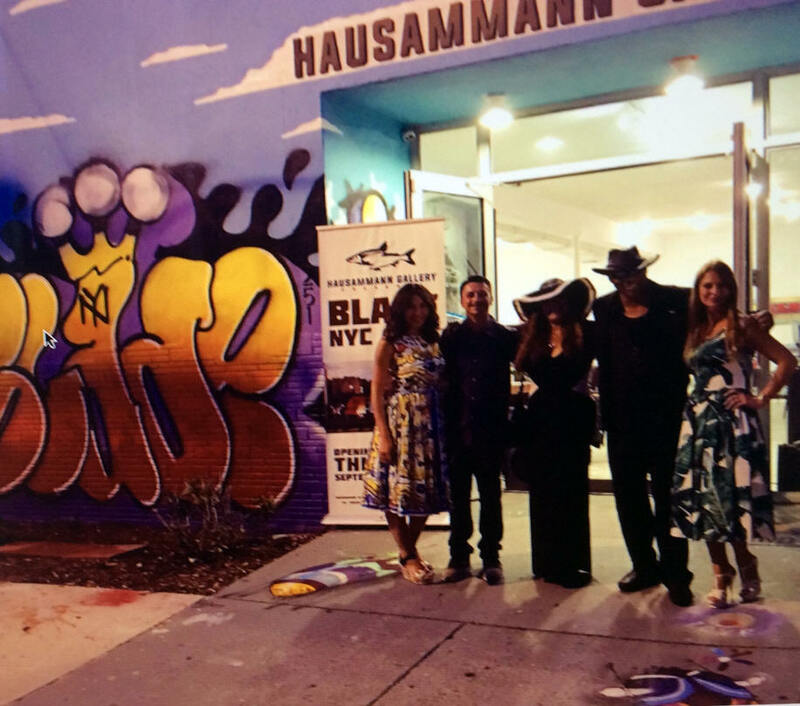 Blade’s art work is currently valued anywhere from $3,500 to $50,000 making his legendary street art masterpieces highly valuable and sought after. 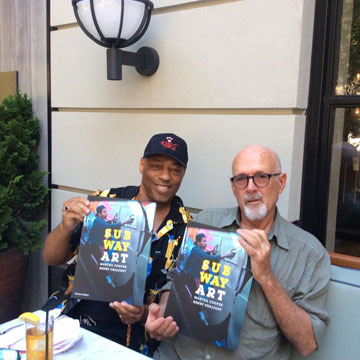 Blade will always be considered one of the true innovators of the art of graffiti; he will always have a stamp in the history and tradition of street art as a result of his celebrated success. 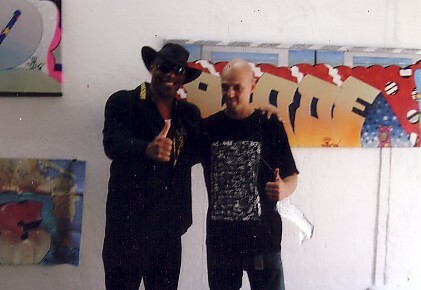 - April 2011, Blade was in the MOCA show where they dedicated a tribute wall to him. on December 7 at 7:00 p.m.On December 8 at 7 p.m. people can watch BLADE create a work of art live to be sold immediately after. 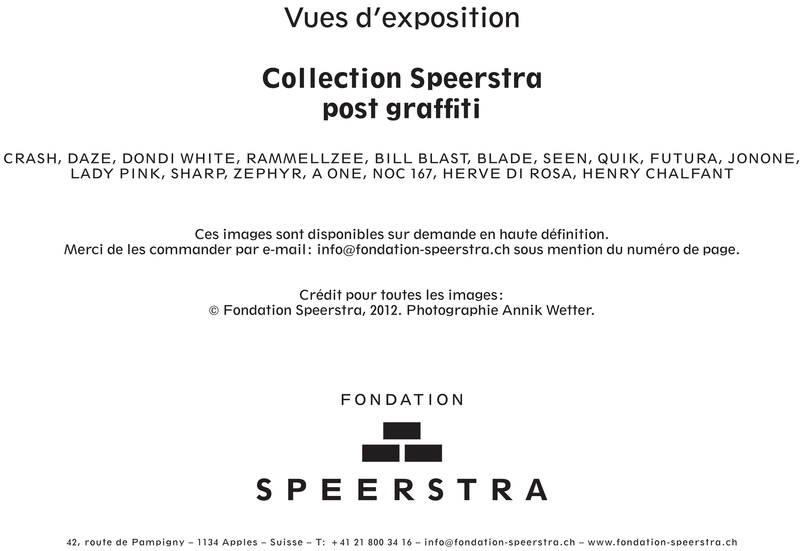 He will speak at the closing of the exhibit on December 9th. The event will begin at 4:00PM. 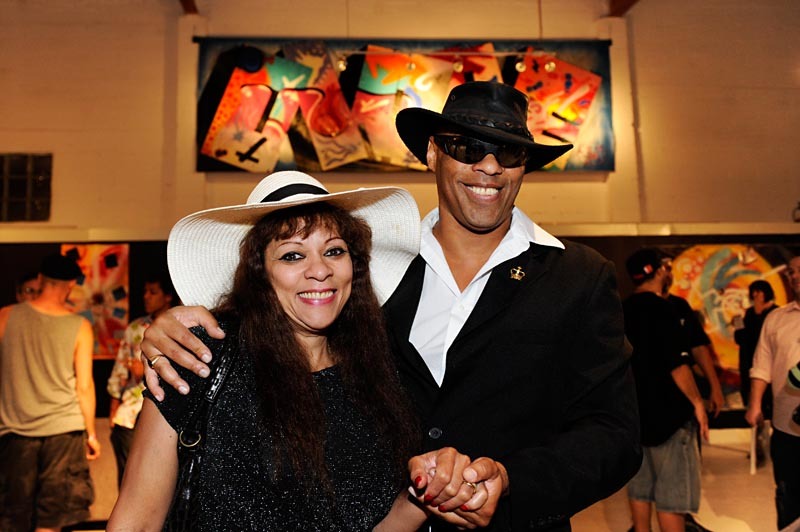 Blade has shown his art worldwide and his work has been included in “Art in the Streets,” an exhibition at the Museum of Contemporary Art in Los Angeles and the Brooklyn Museum. 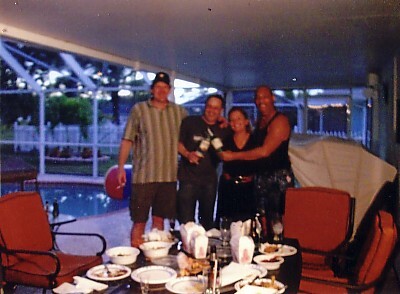 Nowadays, instead of being chased by NYC transit police, he is pursued by art collectors, notably Europeans, Paul McCartey among them. 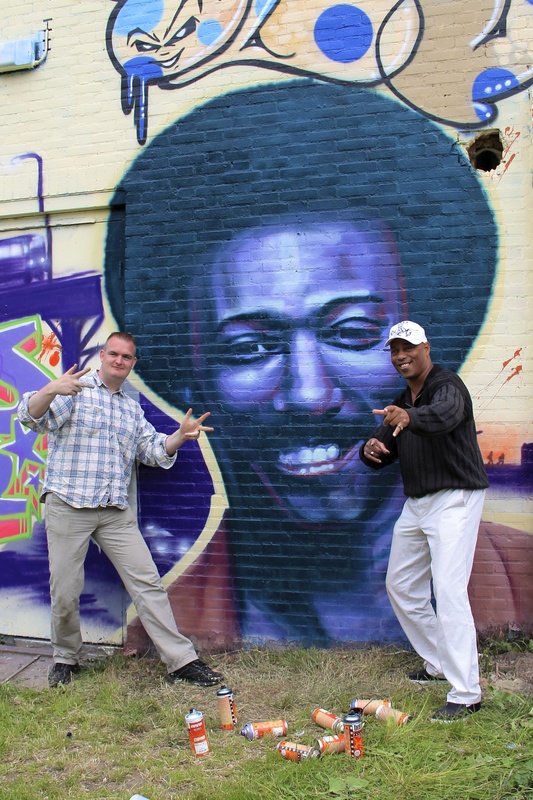 BLADE began creating graffiti art in the early 1970s, during the infancy of what would grow to be a worldwide art movement. 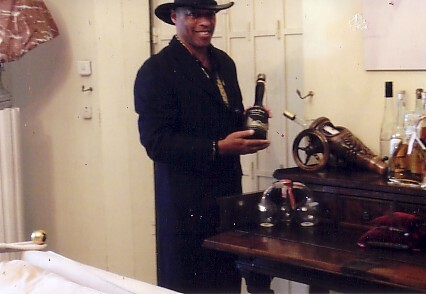 Blade was born January 23,1957.He began on trains in 1972. He painted his last train in 1984. MISSION: ICO IS DEDICATED IN GOING INTO INNER CITY RURAL NEIGHBORHOOD SCHOOLS AND GIVE THEM A SENCE OF DIRECTION IN ART. ICO IS DEICATED IN GIVING THE PUBLIC; CHARTER AND PRIVATE SCHOOLS MUCH NEEDED ART SUPPLIES, MATERIALS, ETC. ICO WAS FOUNDED TO FUND SCHOOLS WITH AN ART ROOMTHAT GIVE DIRECTION OF POSITIVENESS AND CREATIVITY. 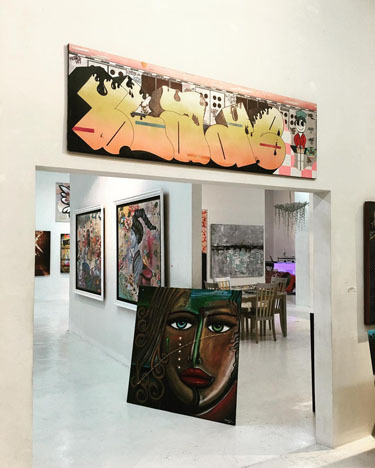 ICO HAS ALSO PARTNERED WITH ADJUST GALLERY MIAMI IN HAVING THE ARTIST FROM ADJUST’S EXHIBITS TO GO TO THE SCHOOL AND DO A WHO, WHAT AND WHERE THE ARTIST IS FROM AND WHAT HISLIFE WAS ABOUT, AND HOW HE CAME TO WHERE HW CURRENTLY IS IN LIFE. ICO STRIVES TO GIVE KIDS A BETTER LIFE ON A DAILY BASIS. KID’S NEED A SENSE OF POSITIVE DIRECTION AND TO BE ABLE TO SURROUND THEM SELVES WITH CEATIVITY, THERE IS NOTHING BETTER THEN THAT. 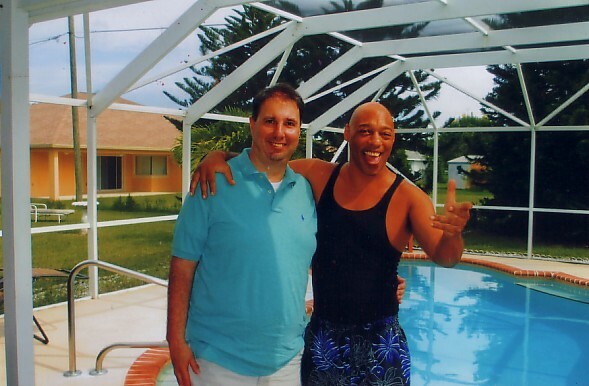 Wishing George Delury a Happy 50th Birthday! JOE RUSSO AND GALLERY 69 SEPT 28TH, 2012 NEW YORK! 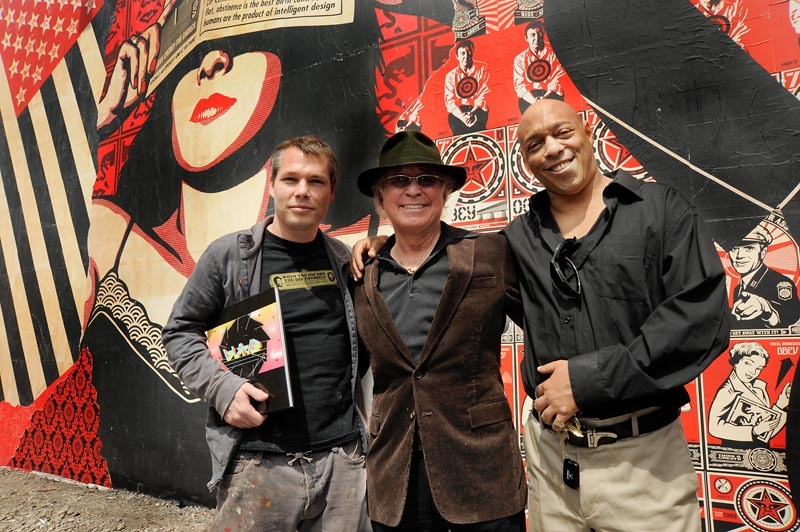 Sheppard Fairey holding Blade's book,Tony Goldman & Blade. 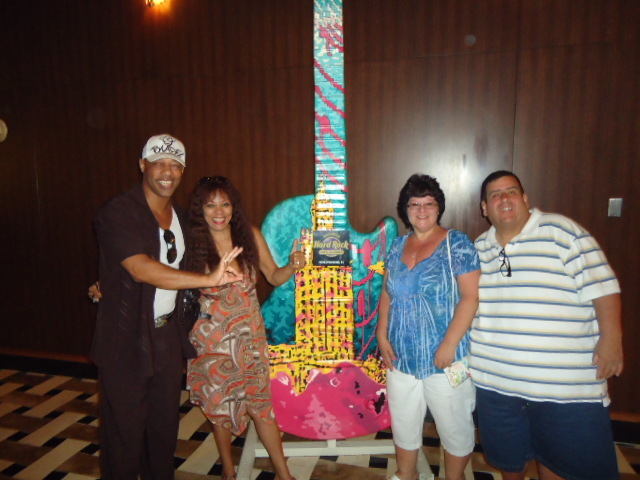 Blade would like to thank Tony Goldman for supporting the arts!